With its oversized screen and specs to die for, the Apple iPhone Xs Max takes an already iconic family of phones to another level. Optimised for gaming, streaming and photography; the best deals for the iPhone Xs Max can be found on the hotukdeals listings. Sorry, wrong offer - this is it. Its a very good deal as phone is alone cost you £1600 . Free click and collect & Free Next day delivery. Respect to OP for posting a phone for £1900 and claiming it is ‘a very good deal’! Sir, You have the gonads of a baboon and I take my hat off to you! Nobody has asked most obvious question: how do they do this for the price? Bargain! It’s crazy a phone can cost more than a MacBook and iPad put together ! Can we see if we can get this to -1000? If it helps (not me, i'm an Androider) you can get this from John Lewis for same price. https://www.johnlewis.com/apple-iphone-xs-max-ios-6-5-inch-4g-lte-sim-free-512gb/p3769080 Thanks for taking the time to post though OP. Or any kind of treatment plan? Carphone warehouse offering an iPhone xs Max 512GB on EE Max Plans 60GG data / £68pm / £79 upfront for the same price of iPhone xs Max 64GB.. Is a good deal. Gutted I missed this deal! Can't find nothing else that comes close to this for the max. Thank you once again just seen it . I will wait until you get another hot deal like this . Have adjusted the op, if you decide to post it, then I'll expire. Wow, didn't even see that, post it and I'll expire. That's what I'm trying to do.. but work has a discount voucher scheme as well which I have been trying since yesterday as it'll save me an extra £50... but my stupid bank keeps blocking the transaction which ended up putting a block on my card yesterday and I have only just had it unbloked but the site is still blocked. So hopefully this deal will still be active this weekend as I've quit trying now as I need my card to be fully active tomorrow as I'm purchasing a car and paying with my card! At £3000 it must pack some serious BANG for your buck! Never miss a 'iPhone Xs Max' deal again! Yeah I could have gotten a bit of cashback too but didn’t think of it! Still a great price considering these are new at around £1000 and this one looks practically new too. I just picked up a 64gb XS Max in grey for £710. Got to be worth a try at that price. Is it just me that’s wondering whether all these Music Magpie second hand iPhones should be in one thread? Don't think it warranted minus heat, but the charger can often be found for ~£8, making the car charger ~£5. It was a decent deal if you needed both at the same time. 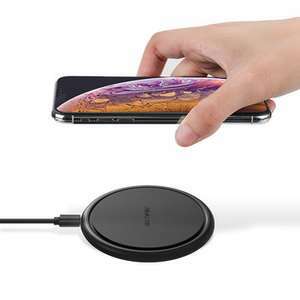 People probably didn't read it properly and assumed it was just a £13 wireless charger - lots of deals get really hot or cold on here when the majority of people haven't read the description properly. Great deal, heat from me. Little look in your last comments/whining and here we are. So predictable. What a bizarre reply. Did I claim you were poor or something? Someone has a chip on their shoulder. Don't have to. I could burn my money in stove and You shouldn't care about it. Is it always like that here when You try to inform people that theres an another option over buying locked grade B phone and there gonna be someone who will feel sorry about you and try to teach you how to live? PayPal never failed me. Sometimes it took some time but getting my money back today or in two weeks or up to month isn't a difference for me cause I'm not living from 1st to 1st balancing on the edge. Have a good weekend Mate. If you have confidence in protection from eBay or Paypal, I feel sorry for you. It comes with a 12 month warranty from Envirophone and whatever is left of the apple warranty. Worse case scenario is a 7 months warranty but a lot of these will have more, like mine for example which had more than 11 months apple warranty. If they are under 60 days then you can still put apple care on them too! They dont come with full apple warranty. Only the remaining time from first purchaser. So it if was purchased in September by its original owner, then you will only get 7 months warranty from Apple. For me that is a game changer. Why is it crazy? The phones usually come in great condition and with a warranty. Crazy would be buying it new and losing all the value once you open the box. Don’t know why I bother with Envirofone,shocking grading system poor quality. Would recommend... police forces decryption devices I.e. Cellebrite cannot crack the encryption on updated iPhones. Mine arrived perfect in “excellent condition grading” 11 months apple warranty as well! Ahhh. I'm used to XS labelling meaning extra small. It actually saved me £35 as the price had gone down in the 7 weeks, but this isn’t worth the hassle. The latest one arrived Tuesday so it lasted 48 hours before getting blocked. They really should hang on to these for a couple of months before selling them. Yup i do know the frustration - best thing is if it gets blockedyou get a new phone free! Bought one, it stopped working. Returned it and bought another, had it 3 days and it’s stopped working too. Checked imei and it’s blocked so it’s been reported stolen. The first one lasted 7 weeks before being blocked. Doesn’t seem any point getting another, just wasting money on screen protectors. Got mine. Mint condition. Apple warranty till Oct 19. CEX warranty till Feb 2021. Unlocked via RSIM 13. Worked a treat. Got one off eBay for £4. I can then legit unlock with EE come April if I want too. Cheers for the poster recommendation for Zeek. Saved about £70 with CEX vouchers. Used my current voucher of £155 from old games and movies. My X should fetch £560 to £620 on eBay with the £1 max seller fee. Awesome! Cheers OP! I like the physical dual sims found in the Asian market. Wish this was I all there new phones and it’d save stacks of issues and prevent carriers monopolising the market. Well did you know that esim’s are locked to the device as well? As in, you get one supplied by a network provider and then you can’t reuse that sim on another phone. That’s what I’ve read anyway! And with regards to locked phones, think that’s down to the network provider I think? O2, Tesco’s and Three don’t lock their phones but EE and Vodafone do. No idea why to be honest. I’m baffled as to why apples latest devices are locked, they’re dual sim, what’s the point in purchasing a locked dual sim device? Or am I missing something here. ? I’ve never bought from Music Magpie but I have sold an iPhone to them. They were complete bandits. Avoid. The X stands for Ten so it is iPhone Ten S. Not Ex S. That's why they didn't call it XL. You'd need to ask Apples market research team who would have spent tens of thousands working on product names with focus groups. Instead of calling it XS Max, why not just call it XL? Every year, Apple seems to release a phone more revolutionary and advanced than the last. 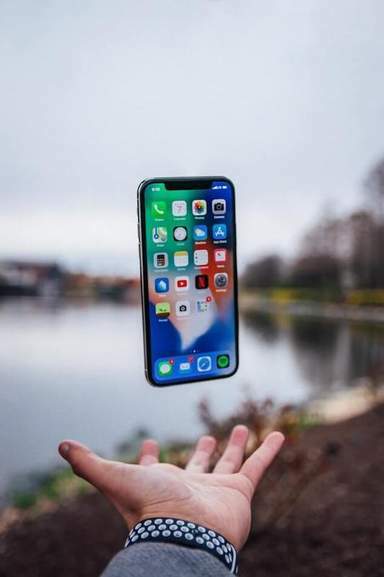 In 2018, the year's premium iPhone was the iPhone Xs Max, which was accompanied by its little brother, the iPhone Xs, and the stripped-down version the iPhone Xr. And it was, as usual, a major step up on 2017's model, the iPhone X. With a release date of 21 September in the UK, the iPhone Xs Max arrived with plenty of praise from the tech press, along with features that may sway existing iPhone users to make the all-important upgrade. But do those things make it an essential buy for every smartphone fan? Let's look at the phone in more detail to help you decide. The iPhone Xs Max is the 12th generation of Apple iPhone. The first iPhone arrived way back in June 2007, and Apple haven't looked back since. 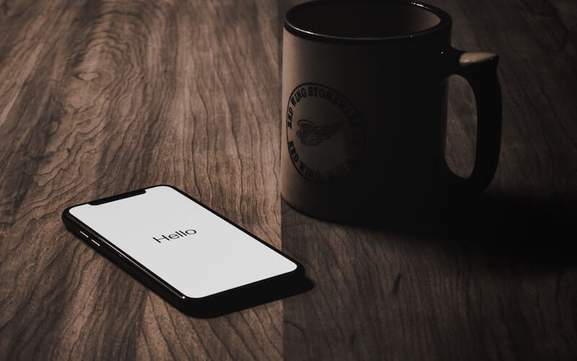 On the phone's debut, the combination of its slick iOS operating system, connectivity with Apple computers, virtual keyboard and multi-touch screen, attractive aesthetics and the customer service provided by Apple, made the iPhone an instant classic. Since 2007, every year has seen iPhone models come and go. At any point in time, a few of those models will still be in production or available second hand, and many remain design classics with applicability for ordinary users. Jumping ahead to 2017, the iPhone X represented a chance to overhaul the iPhone brand on its 10th anniversary, hence the X. And the company succeeded, introducing a high-resolution OLED screen, maxing out its screen space with minimal bezels, and adding new facial recognition security as well. However, unusually for the iPhone range, the X was only in production for a single year. That's because Apple chose to significantly update the anniversary phone, partly motivated by criticisms of the phone's appearance, but also to add new technology. The result was the iPhone Xr, Xs and Xs Max. The 2018 iPhone model delivered plenty of new capabilities and details for users to enjoy, but do they add up to a massive improvement on the X and the iPhone 8? The iPhone Xs Max has one very obvious difference to earlier models, the huge screen. While the normal Xs measures 5.8-inches across, the Xs Max packs a 6.5-inch screen, bracketing it with tablets rather than pocket mobile phones. Underneath that screen, an improved A12 processor gives the Xs Max the power needed to run cutting-edge mobile games or apps. The photographic sensor has been enlarged, keeping the X's popular dual lens 12MP setup, whilst the processing tools onboard the new phone allow users to create stunning “bokeh” effects with their portrait photos. 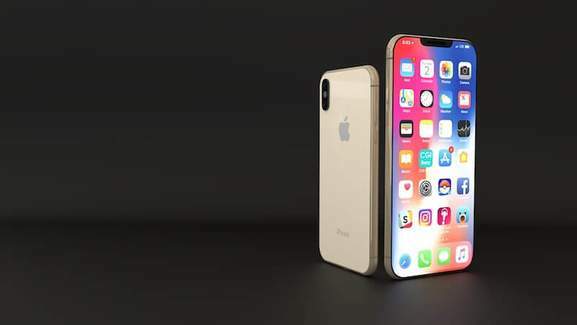 As far as graphics go, expect the Xs Max to be the most colourful and vivid iPhone yet. In fact, while the X's OLED screen is more or less present, the Max supposedly has a 60 percent richer dynamic range, making streaming TV, games and movies much more satisfying. Those who used FaceID on the X but weren't turned on by how quickly it recognised their faces will be satisfied by refinements to the ID system, making it much faster to accept your identification and access things like Apple Pay. More importantly, Apple have added something radically new in the form of dual SIM card slots. So you can have two different SIMs on one iPhone Xs Max – a great tool for travel fans who have had to juggle SIMs in the past. Apple have thought of music fans as well, taking care to make the Xs Max's audio performance superior to the iPhone X, with genuine stereo sound and deep bass. With the right Lightning accessories, the new iPhone is a formidable audio tool, which hasn't always been true with the iPhone family. Finally, it might not be a game changer, but the Xs Max is physically more colourful than previous iterations. Apple have released the phone in a wide variety of colours, including bright blue and yellow, red, coral, white and space grey (naturally). So you should find a phone which fits your personality, instead of being confined by the manufacturer's own tastes. Before choosing an iPhone model, it's always best to consult the tech press and take a wide range of views, and the Xs Max is no exception. This time around, the initial reaction has been fairly positive. For instance, Tech Radar loved the extended screen space and found it ideal for gaming. On the other hand, they accepted that expansion comes with a price, and noted that the Xs Max isn't the most portable phone around. Wired were if anything more complimentary, saying that Apple had “nailed” the oversized smartphone for the first time. Their praise focused especially on the cameras, including the ability to easily adjust depth control and the presence of dual optical image stabilisation. The Guardian also took a long look at the Xs Max, immediately reporting the “plus-sized price”, something that all buyers will notice when they check out current iPhone Xs Max deals. They took a different angle on the phone's size, though, noting that while the screen is enormous, the very slender 7.7mm thickness of the Max made it feel smaller than similar models like Samsung's Galaxy Note 9. However, even then the reviewer had to admit that the Max was a “two-handed” phone, and not a convenient option for whipping out for quick calls on the train. Connectors: Includes a single Lightning connector. Stereo speakers and microphones are built into the design. Now, for probably the most important part of any buyer's guide: how to actually make your iPhone Xs Max purchase. There are a few different places and ways to do so. Firstly, you can head straight to the online Apple Store to order your iPhone Xs Max. Apple make it simple to customise your purchase with the full range of colours. After that, you'll need to make a decision about the capacity you need. Storage ranges from 64GB through to 256GB and 512GB, which is much larger than anything Apple have offered before. In fact, it might be a little bit more than most buyers need. There's usually around £400 difference between the 64GB and 512GB models, and 64GB will often be enough for users who aren't addicted to selfies or making videos, or don't fill up their phones with apps and games. Then again, there's a reason Apple released the 512GB model. And if you're among the data hungry people who find that no disk space is large enough, the extra cost will be worth it. The same applies for those who intend to use their Xs Max professionally. Whatever storage option you pick, you'll find a few different ways to finance your iPhone. This only applies if you buy directly from Apple, by the way. Read below about how to buy a phone from other suppliers. Buy with Barclays – Apple have struck a financing partnership with Barclays Bank for all purchases above £399. You can pick payment periods lasting from 3 to 36 months, which is pretty flexible for a phone financing plan, and the APR is 14.9% - not excessively high in the context of online finance. Pay with PayPal – One alternative to buying via Barclays is to arrange payments via PayPal. The advantage here is that purchases as low as £99 are covered, but the basic mechanics are the same, with 14.9% APR and a choice of payment periods. Both financing options would result in typical monthly payments of around £20-30 for most people. Buy outright – The other option is the most expensive to start with, but the cheapest in total. 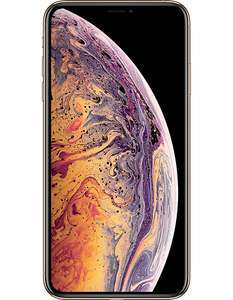 If you have £1,000-£1,500 spare, buying an iPhone Xs Max handset is the best way to go, as it dispenses with interest payments completely. However, before you rush to the Apple website to pick your phone specifications and payment plan, it's important to assess other ways to buy an Xs Max. There are plenty of other mobile phone retailers competing for your business, and at any given moment they may well undercut Apple themselves. And even if you buy the handset itself, you'll need a sim in order to send texts, make calls and use mobile data. This is where getting an iPhone Xs Max from a network provider might be the best option. By bundling together calls, texts, data and the phone itself, contracts could be the most affordable way to shop. For example, O2 offers the Xs Max and allow customers to “build their own plans”. You might opt to pay £30 up front, with 20GB of data and a 30 month payment period. According to their site, that would come out at around £70 per month. 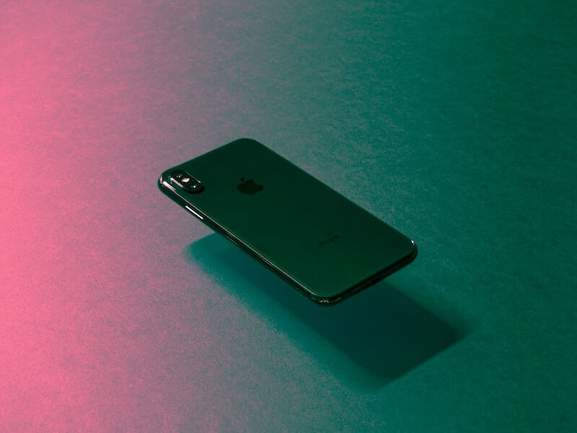 That might seem like a lot compared with the price for the handset from Apple, but it factors in the price of using O2's network for web browsing, streaming, messages and calls. That's just one company, though. Be sure to compare other providers like Three and EE. Carphone Warehouse might be a good option if you already have a phone that you need to upgrade, as they offer a competitive part exchange service which can reduce the overall cost of buying a new phone. However, always ask yourself whether buying a contract phone is preferable to choosing a SIM-free deal. Prices vary all the time, and it may be cheaper to buy a handset then source a SIM from somewhere like giffgaff, rather than buying the phone and SIM together. In general, high-end phones like the Xs Max aren't much cheaper to buy SIM-free than in standard bundles, while big savings can often be made with cheaper phones. But that doesn't mean you shouldn't look around. Be sure to check the hotukdeals Xs Max listings, because incredible offers can appear overnight. The iPhone Xs Max vs The iPhone Xr? For some people, the major decision will be whether to go for an Xs Max or an iPhone Xr. In this situation, cost is likely to be a major factor. The Xr has been released as a cheaper version of the Xs and Xs Max. The Xr has a single lens photography system, lacks an OLED screen, and is nowhere near as large as the Xs Max. So all of that counts against the Xr. But hang on a second. The Xr may not be as grand as the Xs Max, but at 6.1-inches it compares favourably with the Xs. It also has a handy A12 processor and its official battery life actually defeats both the Xs and Xs Max. So if you're looking for a practical, high-quality but affordable smartphone, it might be the best option. What about comparing the Xs and the Xs Max? Here, the two phones are almost indistinguishable in terms of processing power. Both are as fast as phones come. But the Xs Max has a far larger screen, so will suit streamers and gamers. Then again, as we've discussed, this larger screen can make the Xs Max a bit less portable and practical, which may be crucial for some users. Worth Upgrading from the iPhone X? What if you already own an iPhone X and aren't sure whether to make the upgrade to an Xs Max? The internal improvements between the X and Xs iPhones are very real, but not necessarily something ordinary users would notice. The screens have been amped up and theoretically offer more dynamic range, but they aren't really that different to the 2017 model. And the cameras are only very slightly better, with their enlarged sensors. The real advantage of the Xs Max is the oversized screen. Few phones can match the resolution and general quality of its visuals with the acreage of its screen, so if you've been waiting for a spectacular multimedia phone, upgrading could be essential. Additionally, users who travel regularly may well be attracted by the dual SIM capabilities of the Xs Max. This is a feature which many users have been waiting for for years, and it could ease the hassle of moving between countries and mobile networks. Then again, even if you are dead set on upgrading from an X, iPhone 7 or iPhone 8, the Xs Max might not be the ideal option. Samsung's Galaxy Note 9 was well-received on its release, as was the Google Pixel 2 XL or the Pixel 3. The Pixel's photography probably outperforms the Xs Max, which may be important for many buyers. There's not much between Samsung and Apple's flagship large-screen phones, although informal drop tests do suggest that the Xs Max's new glass materials have the edge in durability terms. Cases – a must-have accessory for all high-end smartphone owners, a good case can extend your phone's life span and its appearance at the same time. The Xs Max requires its own special case, and retailers like Casetify have quickly adapted, offering a range of designs. Spigen are another popular casing manufacturer, specialising in streamlined Liquid Crystal models. Screen protectors – If you don't want to use mobile phone cases, screen protectors offer a less obtrusive alternative. These tempered glass add-ons clip neatly onto the edges of the Xs Max, enabling you to keep your OLED screen crystal clear. Apple AirPods – Apple's Bluetooth earphones are almost certainly the best audio peripheral for Xs Max owners, and they also work with Apple Watches, iPods and Macs. If you've made the decision to purchase Apple's premium oversized phone, find a way to do so for the lowest possible price at hotukdeals. Our listings feature all of the UK's major mobile phone retailers, including O2, EE, Carphone Warehouse, Sky Mobile, Three, Virgin Mobile, Very, and Look Again – as well as Apple themselves. Check the listings for competitive contract and SIM-free deals, and try to compare them based on overall cost. Remember that contracts tend to include interest payments, which make their overall price higher than buying a phone upfront. So buying the Xs Max and a SIM-only deal may well work out cheaper. But that's not always true. So double check the phone and SIM offers carefully. 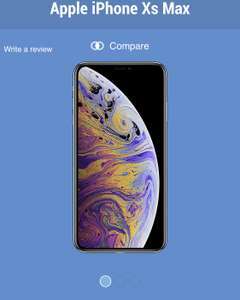 It might also help to time your iPhone Xs Max purchase to find the very best deals. Black Friday and Cyber Monday are always excellent opportunities to pick up great tech deals, and the latest iPhone is sure to be a major seller in this year's retail events. Whenever and wherever you buy, think about adding accessories like speakers, earpods and screen protectors as well. Bundling them in with your phone can deliver big savings. And if you have an older iPhone, part exchange can reduce the cost even more. Either way, the hotukdeals listings are the place to head to start your search for the latest mobile phone technology. Apple's iPhone Xs Max comes with a 6.5-inch display, incredible resolution, a super-fast A12 processor, and all of the advantages offered by iOS 12. 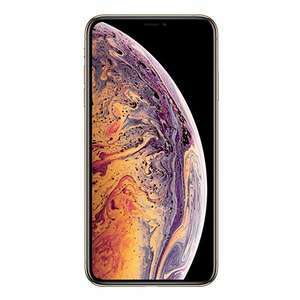 The latest in a long line of premium smartphones, it could be the finest phone for gaming or watching TV ever designed, and buyers can find the best offers on the hotukdeals iPhone Xs Max listings.